Eldest has started cooking club at school this term. As she absolutely loves cooking, she is enjoying it very much, and it is giving her the confidence in the kitchen to cook without me. From my point of view, it is lovely now, at the age of seven, that she is happy to experiment with cooking recipes for herself. 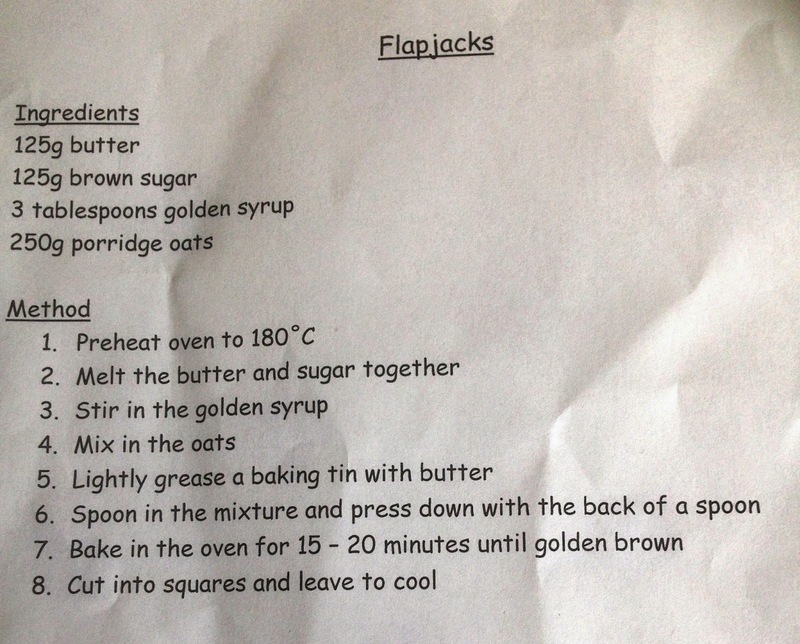 After making Flapjacks at school yesterday, eldest came home with the recipe, and decided that she wanted to make a batch of Flapjacks to take into school for her teachers to enjoy at morning break. Never one to be left out, youngest wanted to make some also, and so she made a batch with my help, whilst eldest made them herself. The recipe was really simple, and easy to make. The girls needed help with the "grown-up" bit of melting the butter, but they did the rest themselves. The girls happily went off to school with their flapjacks this morning for their teachers. 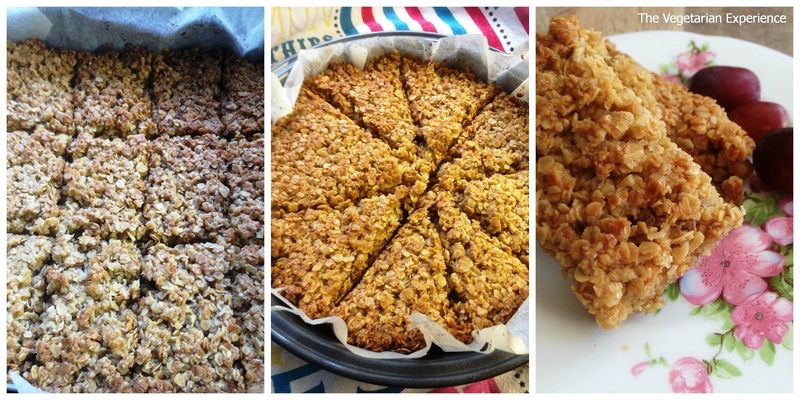 The recipe for flapjacks are below, and the fruits of their labour are displayed in the pictures above. I have to say, I was really impressed as the Flapjacks really were yummy! 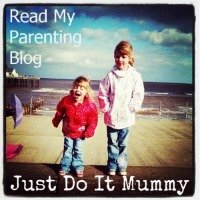 Feel free to give them a go, or get your kids to, and let us know what you think!! What is your favourite thing to cook with kids, or that your kids like to cook?